The levels of two proteins — PFN2 and GAMT — may serve as potential biomarkers for monitoring disease activity and progression in patients with Charcot-Marie-Tooth disease type 2 (CMT2), a study suggests. The study, “PFN2 and GAMT as common molecular determinants of axonal Charcot-Marie-Tooth disease,” was published in the journal BMJ. 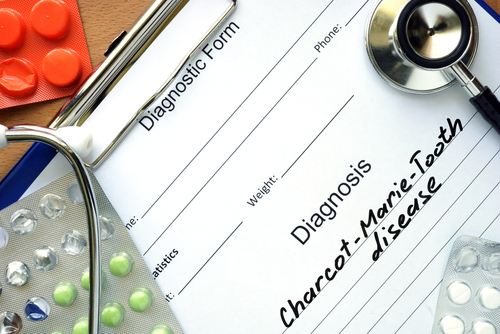 Charcot-Marie-Tooth disease is the most common genetic peripheral neuropathy — a disease that develops due to peripheral nerve damage. There are two forms of CMT — the demyelinating form known as Charcot-Marie-Tooth disease type 1 (CMT1) and the axonal form known as CMT2. Genetic studies have identified more than 140 mutations in 26 genes associated just with CMT2 alone. The high level of genetic diversity that characterizes this disease makes it difficult for physicians to confirm a diagnosis. In fact, diagnosis of the disease involves conducting a medical history, physical examination, neurological examination, nerve conduction testing, a detailed family history, and genetic testing. There is an urgent need for biomarkers that can help expedite the diagnostic process. 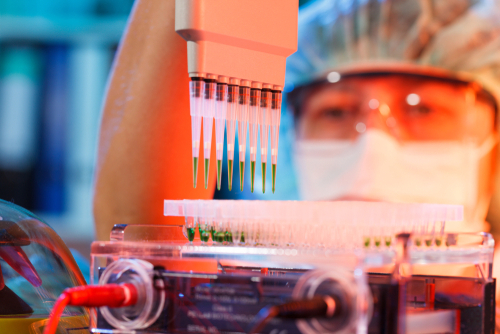 Recently, researchers have discovered potential biomarkers for CMT1 from studies carried out using plasma and skin biopsies derived from CMT1 patients. Unfortunately, no such studies have been done in CMT2 patients. Therefore, researchers conducted a study to identify commonalities in gene and protein expression across different CMT2 subtypes that could eventually be developed as biomarkers or therapeutic targets in this patient population. They initially performed a proteomics-based approach on cells obtained from several CMT2 patients who had different gene mutations. Proteomics refers to the study of the proteins present in cells. Interestingly, researchers found that the levels of two specific proteins — profilin2 (PFN2) and guanidinoacetate methyltransferase (GAMT) — were significantly decreased across all patients with CMT2, regardless of the gene mutation. A gene, which is a DNA sequence, is used as a template to make molecules called RNA. Many RNA molecules, in turn, provide instructions to the cell to make specific proteins. Consequently, every protein has an associated RNA molecule. This led researchers to validate their finding by looking at the RNA levels of PFN2 and GAMT in patients with CMT2 and healthy individuals used as controls. As expected, the RNA levels of PFN2 and GAMT were significantly decreased in 43 CMT2 patients, compared with 22 controls. Interestingly, CMT2 patients experienced a progressive reduction in PFN2 levels with age while healthy controls experienced a progressive increase with age. Due to a lack of patients with severe disease, the researchers were unable to correlate expression changes of PFN2 and GAMT with disease severity. To further validate their findings, they also demonstrated that PFN2 was decreased in stem cells derived from CMT2 patients and in the nerves of a CMT2 mouse model. However, there was no change in GAMT levels in either of these models. These results suggest that PFN2 is likely involved in the mechanisms that lead to the development of CMT. “We unveil PFN2 and GAMT as molecular determinants of CMT2 with possible indications of the role of PFN2 in the pathogenesis [disease development] and disease progression,” the authors concluded. “Our results highlight that measuring PFN2 and GAMT may help clinicians to monitor disease activity and progression, and may guide potential therapeutic strategies,” they said. Tagged biomarkers, Charcot-Marie-Tooth disease type 2, disease activity, disease progression, GAMT, PFN2. 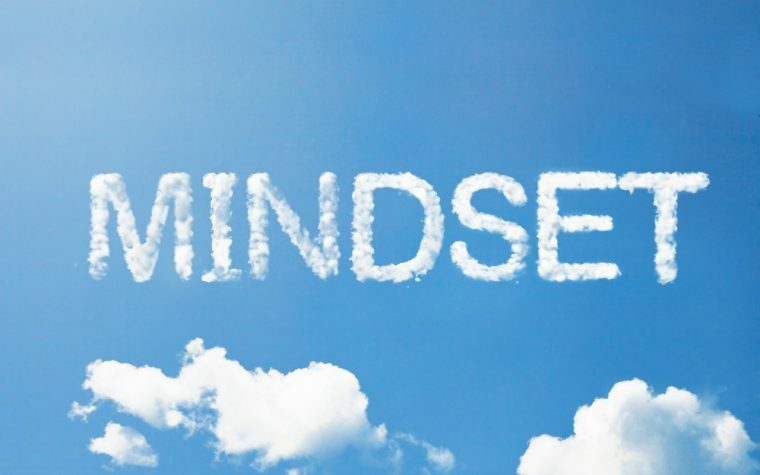 Next:Can Having a Growth Mindset Help with Charcot-Marie-Tooth Disease?